Need new keys made for your Saab? Don’t want to have to go through the hassle of taking a trip to the dealership? Well, you’re in luck! Door N Key Locksmith is fully trained to handle any of your locksmith needs when it comes to your Saab vehicle. All of our locksmiths understand your vehicle inside and out, so you’ll never have to go to your dealership if you want new or replacement keys. Because we’re fully mobile and open 24/7, we’ll come to your location in a van fully loaded with all the tools necessary to make you new keys on the spot whenever you need us. 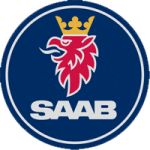 No matter what time of day it is, just give us a quick call and we’ll be there quickly to replace or copy your Saab transponder keys. We can also provide you with a new key fob, so you won’t have to spend extra time and money going to your dealership. Our training is extensive, and that’s why we’re known as the best locksmiths in town. You can always trust us to make sure that you never have any issues with your keys or locks. Call us today and we’ll make your new keys.